The first Soviet leader was loved so much that the country couldn’t face saying goodbye (at least, according to the officials) – so he was frozen in time. Scientists from the USSR were pioneers in the art of embalming, and even traveled abroad to ‘pickle’ other socialist leaders and keep them good and dead in mausoleums. 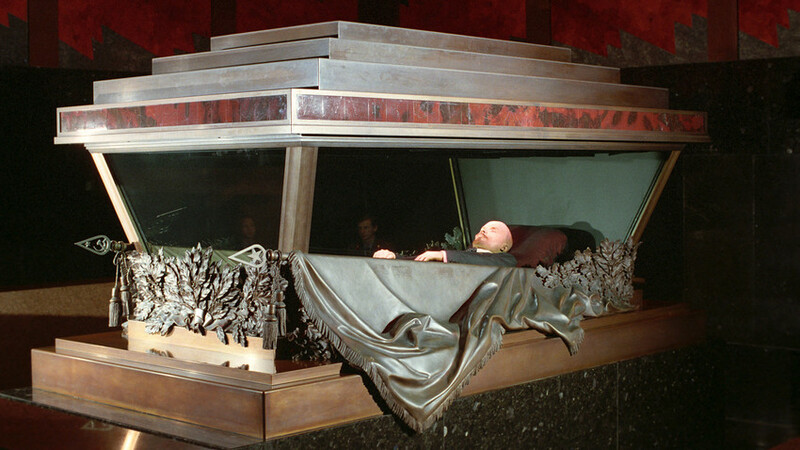 Many Bolshevik leaders also opposed the idea of preserving the leader’s body. It made no difference though: Joseph Stalin, who was gradually tightening his grip over the country, was adamant Lenin should be preserved as a socialist saint. 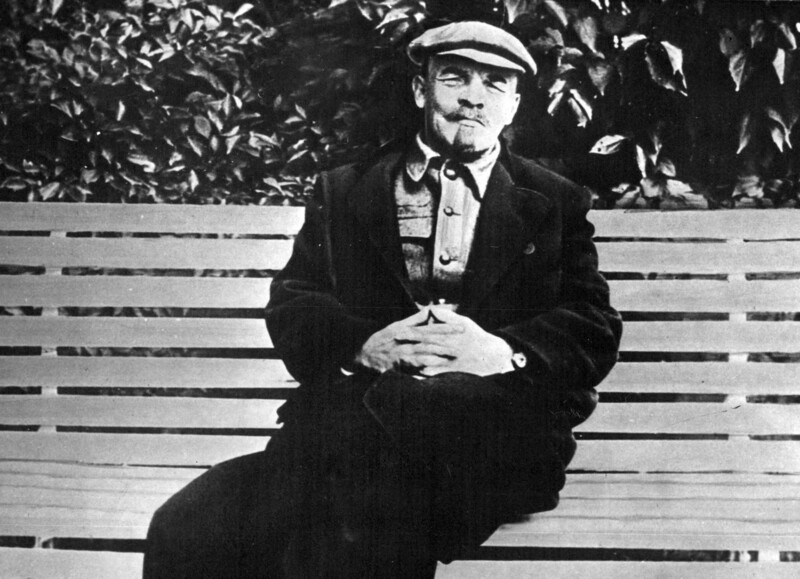 Vladimir Lenin, USSR's "founding father" had no intention to be embalmed. The picture is taken in 1922, just two years before he died. There were two possible ways to save the slowly decaying corpse: Freezing and embalming. While the government initially wanted to go with the first option, a biochemist named Boris Zbarsky convinced the powers that be that embalming was far better. He explained it would prevent Lenin’s skin from changing color and he would subsequently look far more appealing. With the help of anatomist Vladimir Vorobyov, Zbarsky started their unappetizing operations with Lenin’s body in March 1924. They made around 20 incisions, drilled holes in the skull (the brain and eyes had already been removed, along with most other internal organs) and put the leader in a bath of formaldehyde for a couple of weeks to kill germs and bacteria – ultimately preventing further decay. Then, Zbarsky and Vorobyov placed Lenin in a bath of spirits to improve skin color and mask cadaveric blemishes that were appearing. Two months had already passed since Lenin’s demise, after all. Finally, the scientists used a glycerol solution to soften the dead body’s skin. It was important to loosen up the corpse after rigor mortis, as Lenin’s pose would need to be set. Nobody in Russia had done anything like this before, so Zbarsky and Vorobyov were essentially working in the dark, risking everything – especially Stalin’s fury – in case of failure. But they succeeded. The duo of scientists achieved their fifteen minutes of fame after the government acknowledged their triumphal experience. “It was a unique and unusual challenge – to embalm the whole body with the forms and cellular structure remaining untouched,” Yuri Lopukhin, a Soviet and Russian surgeon, wrote in his book about Lenin’s embalming. 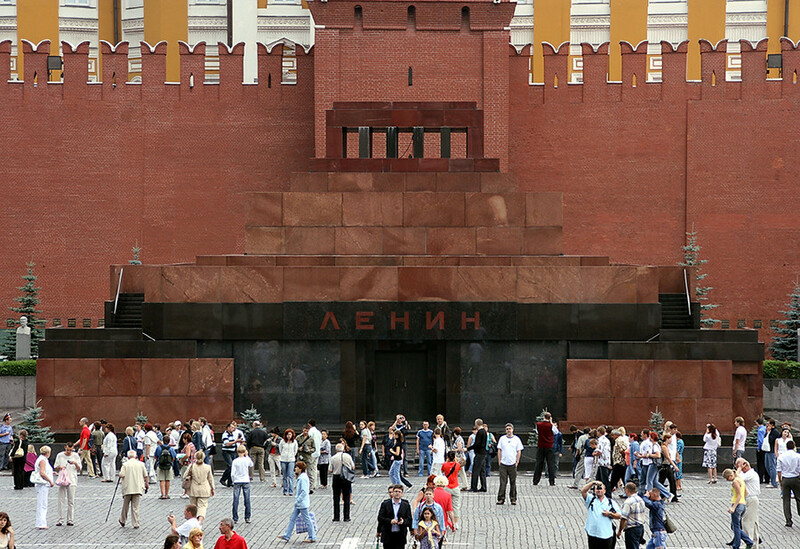 The famous Mausoleum was built in the late 1920s with a special purpose - to contain Lenin's body. Since then, dead Lenin has been through a lot, including an evacuation to the city of Tyumen (2,100 km east of Moscow) during WWII and several attempts to destroy his body. But the guy is still in good shape, especially for someone who died 94 years ago. Scientists from a special laboratory still look after him. Once every few months, when the Mausoleum on Red Square is closed, they put him in preservative and inject special solutions. In fact, Lenin now is basically a sack of anti-decay liquids, with most internal organs removed. The exact chemical composition, however, remains classified. Eager to help Socialist comrades all around the world, the USSR assisted in preserving the body of Vietnam’s Ho Chi Minh after his death in 1969. Much like Lenin, Ho didn’t want to be embalmed but who cared? A crew of specialists arrived from Moscow, did their job, and after the North won the war Ho was placed in his own Mausoleum in Hanoi. 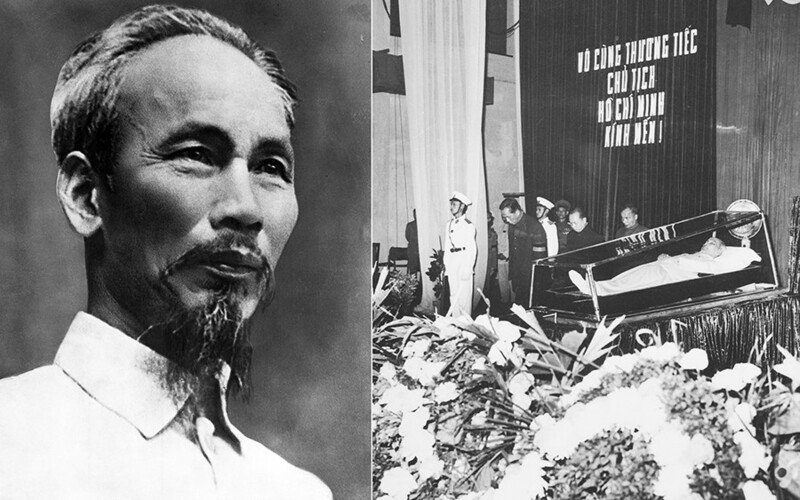 Ho Chi Minh, a Vietnamese revolutionary leader (before and after his death in 1969). The same thing happened to North Korea’s Kim Il-sung (died in 1994) and Kim Jong-il (died in 2011). Even though the USSR collapsed in 1991, Russian scientists helped the North Koreans. Nowadays Lenin, Ho Chi Minh, and the two Kims are the only four leaders in the world embalmed using Soviet-Russian technology. There were more: Bulgaria’s Georgi Dimitrov, Czechoslovakia’s Klement Gottwald, Angola’s Agostinho Neto – but they all were buried after the Socialists lost power in their countries. As for Mao Zedong, the long-time Communist leader of China (died in 1976), he didn’t have the chance to be properly embalmed as Moscow and Beijing weren’t on good terms back in the 1970s. The Chinese employed their own way of preserving the body, which was, according to Alexei Yurchak – the author of Bodies of Lenin: The Hidden Science of Communist Sovereignty work – “far more primitive.” So, if you have a leader you’d love to put in a mausoleum, it’s better to pal up with Moscow. Why were so many Russians once communists?